Varsity swimming notched wins over Bloomfield High and Newark East Side in a tri-meet last Thursday, bringing the team to 4-3 for the season as swimmers ready for the Prep B Championships on Tuesday (boys) and Wednesday (girls). At last Thursday’s tri-meet, the Knights claimed five individual events and three relays to best Newark East Side 99-49 and Bloomfield High 99-19. In individual competition, junior Sarah Smith garnered the 200 IM (2:32.49); junior Preston Reep won the 100 butterfly (1:07.89); sophomore Robert Brandl took the 100 freestyle (57.77); sophomore Rebecca Michaels—recently designated by NJ.com as a top-50 sophomore swimmer—won the 100 Backstroke (1:06.51); and sophomore Adrian Massuet claimed the 100 breaststroke 91:15.43). In relay competition, the team of Michaels, Smith, Reep, and junior Christian Ernst won the 200 medley; the team of Brandl, Michaels, Reep and Ernst garnered the 200 freestyle; and the team of Brandl, sophomore Jonathan Osma, Smith and Massuet claimed the 400 freestyle. 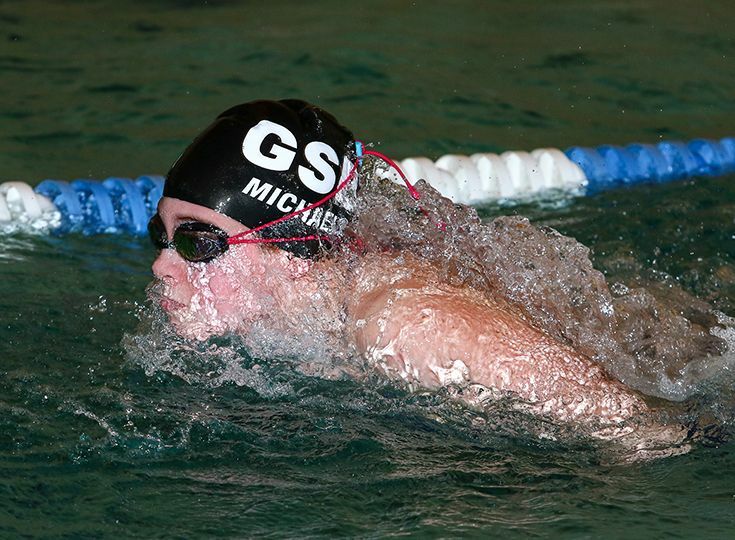 Swimming at Gill St. Bernard’s has been gaining steadily in popularity over the past several seasons, with the team becoming increasingly competitive each year. This winter’s talented lineup bodes especially well for the continued growth of the program.